The Ibanez Prestige RGR752AHBF-WK Weathered Black is a first-class 7-string metal guitar that offers not only brute sounds, but also an elegant dark look. 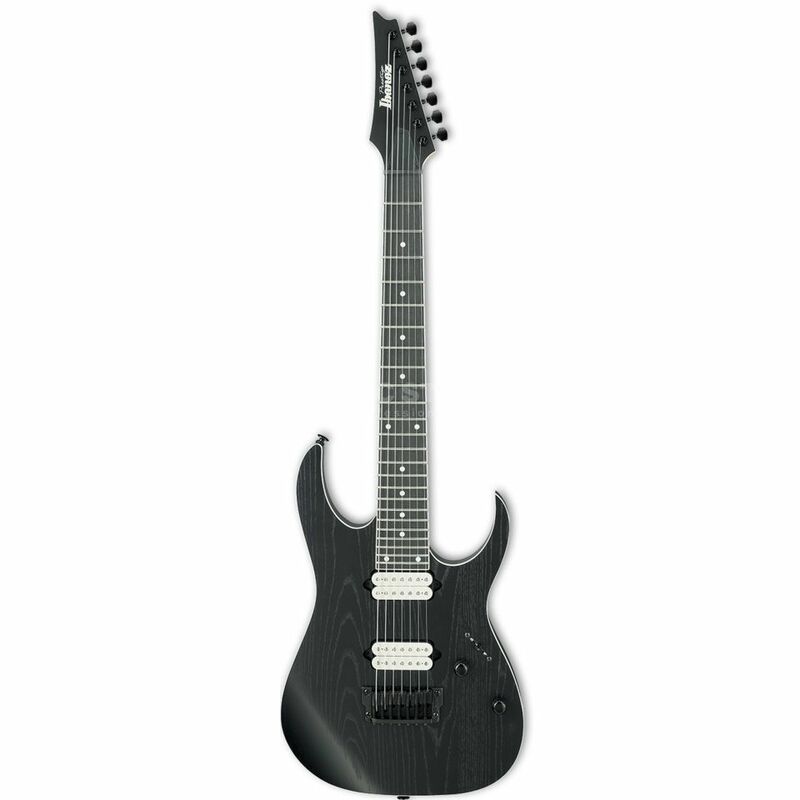 This is due not only to the matt black lacquered ash body, whose razor-sharp silhouette is accentuated by white bindings, but also to the reversed headstock in the typical Ibanez design. Thanks to the ultra-flat "Wizard-7" profile, the five-piece maple walnut neck lies particularly comfortably in the hand, so that on the 24-flush rosewood fingerboard every reef or solo comes out of your fingers as if lubricated. DiMarzio Fusion Edge humbuckers provide modern metal sounds for the amplifier, which also convince the low B-string with a high tightness and represent every stroke precisely. Last but not least, the Ibanez Prestige RGR752AHBF features the Ibanez Gibraltar Standard II-7 bridge and Gotoh MG-T locking mechanics. The Ibanez Prestige RGR752AHBF-WK Weathered Black is a great choice for the darker look and the first-class metal sounds of the Ibanez Prestige RGR752AHBF-WK.